← 3,000 Cooley Community LinkedIn Group Members! 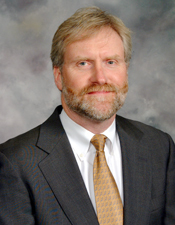 Professor David Berry teaches Intellectual Property courses in Cooley’s J.D. and LL.M. programs. In this posting he discusses an important recent U.S. Supreme Court case involving federal jurisdiction. In February’s 9-0 decision in Gunn v. Minton, the U.S. Supreme Court ruled that a state law action that includes a substantive issue of federal patent law must be heard in state court, not federal court. The decision may allow state courts to determine patent issues which in the past were the exclusive province of the federal courts. Gunn involved a state-court action for legal malpractice relating to a failed patent infringement litigation. The patentee, Minton, lost the infringement case when the trial court ruled that his patent was invalid for violating the “on-sale” bar. Gunn, Minton’s attorney in the infringement action, argued that the on-sale bar did not apply under the experimental use exception. Minton subsequently sued Gunn for malpractice under Texas state law. The Texas Supreme Court ruled that because the malpractice claim turned on whether the experimental use exception would have saved the patent, Minton’s malpractice claim “arose under” the federal Patent Act, and thus was subject to exclusive federal jurisdiction under 28 U.S.C. § 1338(a). The Supreme Court reversed. The Court held that the patent issue was not “significant,” because the outcome of the issue would not affect the “federal system as a whole.” Essentially, the Court reasoned that Minton’s patent was invalid, and the state court’s determination of the experimental use issue could not change that result. Second, the Court ruled that allowing a federal court to hear the malpractice claim would disrupt the balance between federal and state courts established by Congress. Specifically, the Court noted that state courts have a special interest in deciding cases relating to the conduct of attorneys licensed in the state. Thus, the federal court lacked jurisdiction, and Minton’s claim must be decided in the Texas state courts. Under Gunn, other cases involving patent issues which are currently heard in federal courts may be sent to state courts. These include breach of contract actions relating to patent licenses and commercial disparagement cases based on allegations of infringement. For a fuller discussion of the Gunn v. Minton case, and whether the Court’s decision addresses the practical and policy concerns resulting from state court jurisdiction over patent law issues, read Prof. Berry’s paper, “Gunn v. Minton: The Supreme Court Pokes Another Hole In Exclusive Federal Jurisdiction Over Patent Rights,” available on SSRN ID 2232879.